I’ve been feeling a bit below-par this weekend so 12 hours of duvet-based inaction was called for. I think actually I managed 13 hours, although only about 8 of them were actually asleep. 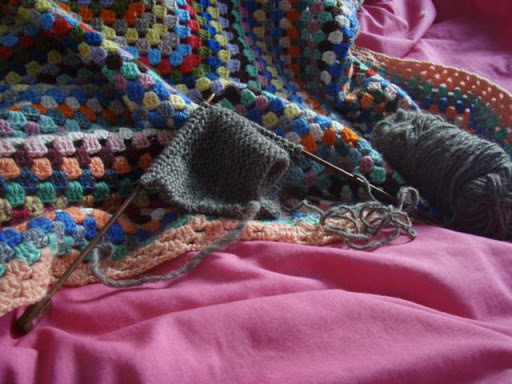 And a little ongoing knitting activity. Add in hot water bottle and Radio 4. Perfect while the rain lashed down. For a moment there I thought you had red pompoms on your toes! hope you are feeling better!